Lindsay Welker, a student-athlete on the University of Iowa cross-country and track teams, works with former Hawkeye basketball player Acie Earl at a basketball camp he coaches in Davenport, Iowa. Welker has been interning with Earl through the UI Department of Athletics’ PACE program, which provides career guidance and on-the-job work experience to help busy Hawkeye student-athletes build their résumés. Photo by Tim Schoon. Lindsay Welker spent her childhood training to become an elite runner, a goal she fulfilled last year when she joined the Hawkeye cross country and track teams. But it came at a sacrifice. Welker spent so much of her youth working to achieve her goal that she had little time for much else, including a job. “Except for working as a nanny here and there, I never had time for a job because I was either in school or training,” says the Terre Haute, Indiana, native who will be a sophomore at the University of Iowa in the fall. But that’s changed this summer. Welker is job shadowing for several weeks with former Hawkeye basketball star Acie Earl, helping with marketing and administrative tasks for his youth basketball camps in Davenport, Cedar Falls, and Cedar Rapids, Iowa. Welker’s opportunity came through her participation in the UI Department of Intercollegiate Athletics’ Professional and Career Exposure (PACE) program, a six-week career-development primer for Hawkeye student-athletes now in its second summer. PACE provides career counseling and on-the-job experiences through a three-week job shadow with participating Iowa City employers. This kind of résumé building isn’t always easy for student-athletes because of time constraints and NCAA rules. Welker decided to participate after an information session, when student-athletes were reminded they needed to think about life after their sport. PACE participants take tests that help them figure out the sort of work they want to do, learn how to write a résumé and a cover letter, and participate in mock interviews. 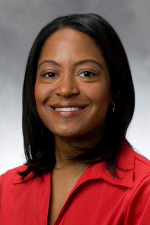 Tangela Cheatham, athletic department career specialist and academic coordinator, says these are the sorts of questions student-athletes don’t always ask because so much of their focus is devoted to improving their athletic skills. “They have to learn how to conduct interviews, how to network, and how to set themselves apart. But before they can do any of that, they have to learn the possibilities of what they can do,” Cheatham says. The program has its roots in Hawkeye Health Career and Research and Exposure (CARE), a partnership between the athletics department and UI Health Care that gives career experiences to student-athletes interested in health care careers. Liz Tovar, associate athletic director for student-athlete academic services, developed PACE to include other careers based on a similar program at her previous employer, the Ohio State University. PACE was first offered in the summer of 2016 and served six student-athletes. This year, 20 are participating. They come from men’s basketball; men’s gymnastics; and the men’s and women’s soccer, track, and tennis teams. They work in sales, graphic design, marketing, writing, and entrepreneurship for participating businesses, including construction companies, accounting firms, banks, and UI colleges and departments. Cheatham says that though the internships are unpaid, what the student-athletes get is a chance to prepare for a life after graduation and a way to demonstrate that the skills that make them formidable in competition—the ability to focus, their coachability, their time-management skills, and their understanding and appreciation of teamwork—also make them good employees. The number of hours the student-athletes job shadow depends on their training and academic schedules. They need to put in at least 10 hours during the three-week shadow, but others, like Welker, participate far more; she plans to continue shadowing Earl for a few weeks after the program ends July 28. Tovar says businesses are both impressed and amazed by the rigorous life of a student-athlete. “We hear back from employers that they didn’t know how hard student-athletes have to work and what great employees they could be,” says Tovar. Earl, who starred with the Hawkeye men’s basketball team and was named 1993 Big Ten defensive player of the year as a senior, says he wishes a program like PACE existed when he was a student-athlete. The only job he held in college was in a warehouse, so when his professional playing and coaching career ended in 2007, he wasn’t sure what to do next. “In a two-semester sport like basketball, you don’t have much time to do the seminars and mock job interviews the athletic department offers, so a summer program would have interested me,” Earl says. Welker hasn’t yet chosen a career path, and she’s grateful for the opportunity through PACE. For her job shadow, she helps market Earl’s camps by mailing flyers to prospective campers, working with local media, starting a Facebook page, and designing an ad for the page that reached more than 5,000 people in the Quad Cities area. She also helps during the camps with registration, handing out equipment bags and doing whatever else needs to be done—in addition to taking a class each day during the summer session. Earl is working with other student-athletes this summer besides Welker, including one who’s shadowing in Earl’s Iowa City real estate business. Earl says they’ve worked out well, and he plans to bring more aboard next year.